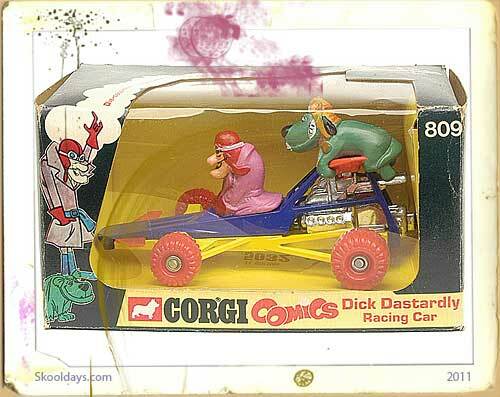 Die-Cast Racing Tracks were a dream for us boys. There were so many additions to the basic set. Tracks joined together with small slides that linked the track and add-ons included banked corners and loop the loops plus a start finish line counter for the photo finish. 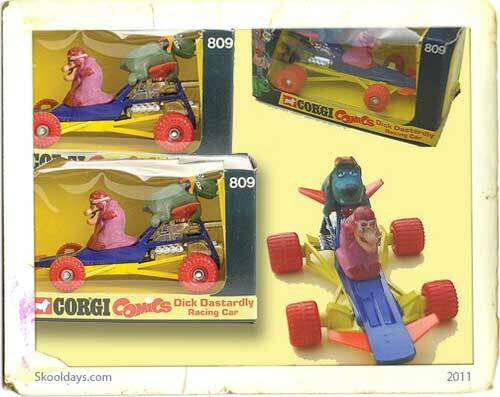 If gravity wasn’t strong enough there were even battery operated gizmo’s to push the cars speed along and build up its memento again. My track was superb until my dad decided that it was cheaper to use than phone up Dyno-Rod when our toilet got blocked by some dumb student! It was a lovely site with my orange and yellow track being pushed to and throw. It worked though! 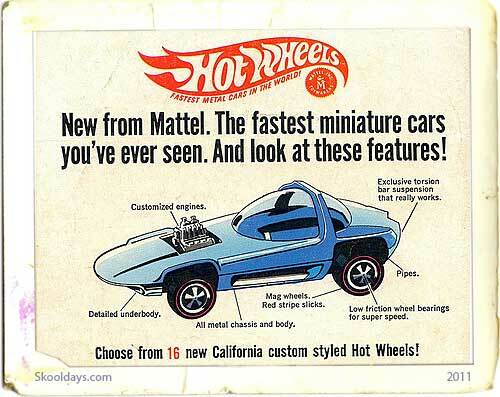 I believe Mattel owned Hot Wheels and used it as a weapon against Dinky and Matchbox. Until then, toy cars were made to be driven around firmly pinched between thumb and forefinger. Hot Wheels were a new breed of diecast metal cars. Free rolling wheels were an innovation. Sounds absurd now. But, for whatever reason, it wasn’t until 1967 that anyone had even thought of a non-powered car that could travel any distance with a simple push….or gravity. These cars could even have their wheels changes with a special gold key! 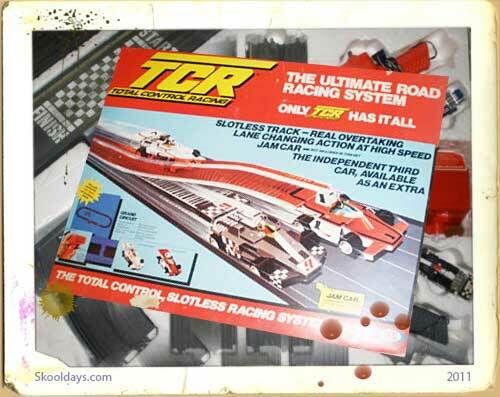 These tracks soon became standard by all die cast manufacturers in the early seventies. 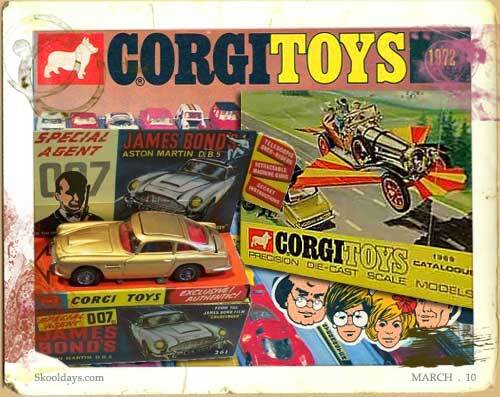 Matchbox, Corgi and Aurora were three brands with existing product that were updated to compete with the upstart. Matchbox created the SuperFast line. 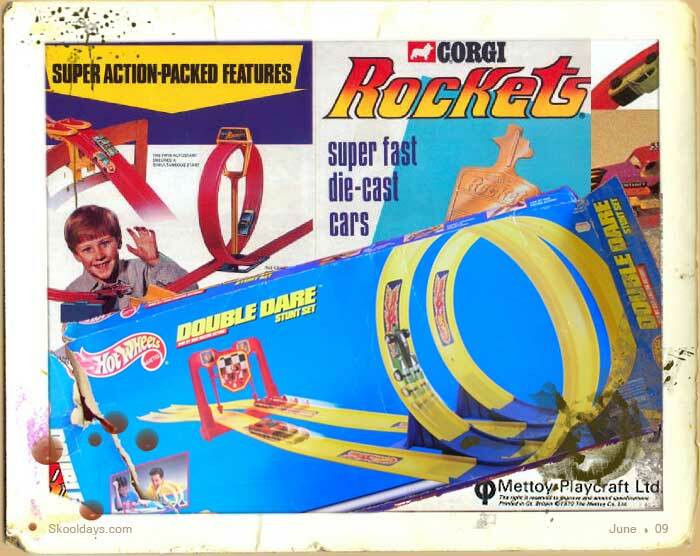 Corgi also introduced Corgi Rockets. 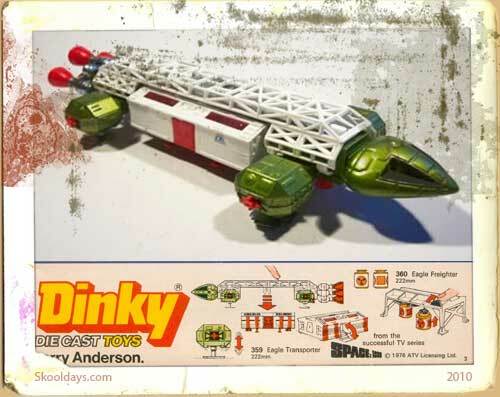 This entry was posted in Toys and tagged 1960, 1970 by Skooldays. Bookmark the permalink.